Ragnarok M Eternal Love is the mobile version of the popular MMORPG – Ragnarok Online. Since its release in Southeast Asia in 2018, many players, veteran or oldies, and newbie has enjoyed the game especially the grinding experience which is incorporated from the classic Ragnarok Online. Though grinding is fun, there's still cash items to improve a character faster, which can be bought by real money. 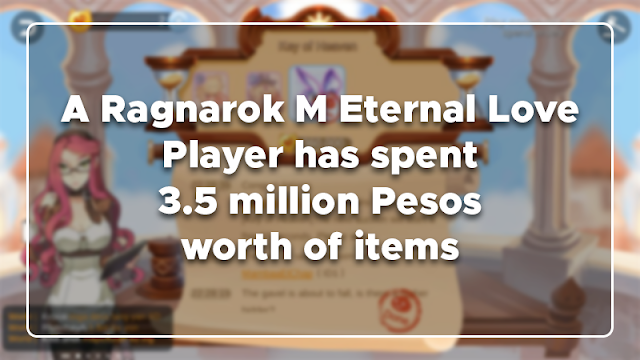 Spending considerable amounts of cash to improve your character is part of the game, but some players love the game so much that they are willing to spend literally millions of Pesos (when BCC-Big Cat Coins in-game currency was converted) just to obtain a rare in-game item. With so much love for the game, a player from Indonesia with in-game name "MambaaElChap", the guild leader of VoltZ, really spent a lot of money amounting to 3.5 million Pesos (roughly 66,850 USD/945 million IDR) worth of items. MambaaElChap spent this enormous amount of money on placing bids in the Auction House, having always the highest bid among other bidders. *The computation use to convert BCC to PHP is based from the best discounted price listed at pay.ragnaroketernallove.com (PHP 5,000 = 564 BCC). 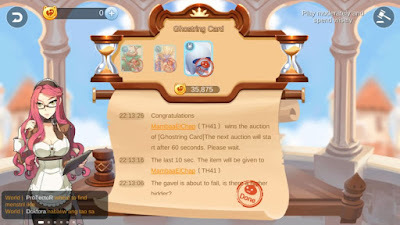 Ghostring Card was dropped by Ghosting, a level 35 mini boss, with effect that turns the armor's element into Ghost, HP Regen -50% and perma buff of def +4. Key of Heaven is a mount usable by all job classes that gives an increase in Movement Speed by 50%. This mount cannot be enhanced, refined, or enchanted. Items like these are considered as end-game items as they're seem over powered that can make one's character dominating in every battles. What can you say about this insane spending for a mobile game? Let us know your thoughts by leaving a comment below.